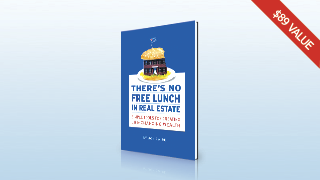 Learn more about successful real estate investing with the "There's No Free Lunch in Real Estate" eBook. You'll receive the eBook, worksheets, and access to the online learning library. 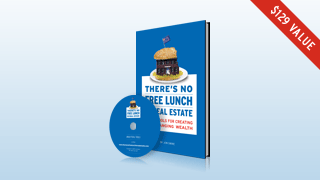 Get started with “There’s No Free Lunch in Real Estate” with the book and CD of financial models to jump start your retirement savings. You’ll receive the Book, the CD-Rom with Analytical Tools, and access to the online learning library. 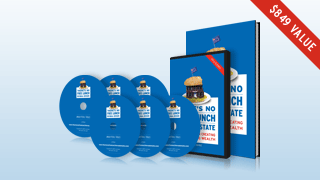 Take control of your financial future by ordering the “There’s No Free Lunch in Real Estate” program. You’ll receive the Book, 13 Chapter DVD Series, CD-Rom with Analytical Tools and access to the online learning library!